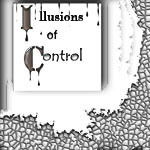 Control – just how much is enough? When does enough become too much. This is a common novice query. As usual, a problematic question to answer “on paper”. The first supposition most make is – “too much is when the dog quits” (but that “begs the question” … how did they quit – mentally or physically?) Actually there are circumstances and dogs that need to be pushed to “the quitting point” in order to get a message across. This is why it’s difficult to answer any question “in one dimension” – you can’t see the dog/handler interaction while attempting to “fix” a problem on paper. I’ve pushed dogs to the “quitting point” and they ended up “the better”. BUT, I also know WHY I’m doing it … “taking into account” when to do it, how far to push, and when to stop. This is the dilemma for novices – knowing when they should “push” an issue and when they should “back off”. Usually the dogs that benefited from being pushed to “the quitting point” were ones that had consistently “gotten the better of” their owners (usually novice) and needed to understand they couldn’t have their sheep until the trainer allowed it. Nevertheless … “as a rule” putting that much pressure on a dog is not useful. That’s why it’s so important to understand the “fundamentals” of control – how much is needed and what you are trying to achieve while applying it. To use control as “a power trip” will benefit neither you nor your dog. I’ll give an example (that occurred years ago) of being “right but ending up wrong”. I typically work my dogs “free flowing” meaning I try not to down them incessantly but instead teach them to rate themselves with the sheep while working. Unexpectedly, I was noticing when I said “lie down” the dog would quit working. At first, I would “get after him” and send him back “onto” his sheep … but after it happened a few times (and “a big clue” … with different dogs) I decided that I must be communicating something unintended. So, instead of just “blaming the dog” I spent time trying to grasp exactly what message I was conveying. The end result was a “two fold”. First, since I didn’t routinely use a down while working, when I did say it usually it was in context of calling them off (either to set up another outrun or to quit all together). However, the second reason was more important. When I did down them “on stock” it was usually an intense down. When calling them off I used a different tone – so in essence they heard it as “that’ll do”. If I wasn’t “in tune” with the dogs I might have punished them for something I was causing. By saying – “lie down” (in a softer tone than the usual down) and then saying “that’ll do” … they soon learned that the soft down was a precursor to a call off. So, to solve the problem I started using softer lie downs during the work session. A simple solution … which could have easily been made into a “confrontation for control”. Not being in control is obviously non-constructive. However, not being in “total” control isn’t always a negative thing. With some dogs there are advantages to not expecting every move to be perfect. Novices do not have a preconceived “picture” of what they want a dog to work like – so they don’t have the desire to “handle” a dogs every step. They’re usually hesitant to “make” a dog do something and are more inclined to just let a dog “just work”. Where an open handler knowing exactly what they want would “demand” specific moves. . There are a number of dogs that are natural with a soft nature … good dogs but aren’t able take a lot of “cranking on”. These types of dogs usually work better with out a lot of “control” and since the novice isn’t continually demanding perfection – they are well suited for each other. I’ve seen dogs that didn’t run well in the hands of some top handlers become good dogs when handled by a novice. Why? The novice, not knowing enough to “get on them” made the dog more relaxed without all that “precision pressure”. What’s more detrimental to a dog than too much control is too much control combined with bad timing. The dog never feels comfortable with himself, the handler or the stock. Dogs characteristically react to “bad handling” in two different ways. Some loose “heart” just going through the motions … obeying every command but not REALLY working stock. Some get so tense they run through every command (instead of turning off – they just go faster). Both “types” may have started out trying to comply with the trainer – but when the conflict between what their instincts were telling them to do and what the trainer was making them do – they lost trust. In essence it’s the same problem but due to the nature of the dogs you end up with two entirely different results. Fundamentally both were taught that nothing they did was right … some lost “their drive” and waited to be told what to do (or some just wouldn’t work). Others (usually the “high drive” kind) listened to the livestock more than the handler and started running through commands trying to keep control of their stock. In conclusion: Dogs do need to have someone in control but the “controller” needs to understand this breeds amazing intelligence and instincts and work with these attributes not against it. So the question Novices need to ask themselves – – – do you want to view “control” as management or power?